I hope that you had a great week! I wanted to make an exciting announcement! We are now talking homeschooling on the radio every Monday at 7 pm! Please tune in for some great information, support, tips, and encouragement. You can listen online or download the app! 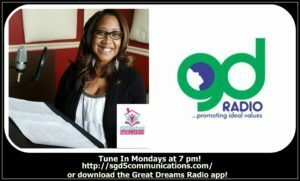 Download the Great Dream Radio app! On next week, we will be discussing socialization! I hope to answer all your questions on this very popular subject! As always, thank you for your support! The next time I read a blog, I hope that it doesnt disappoint me as a lot as this one. I mean, I know it was my option to learn, however I actually thought youd have one thing fascinating to say. All I hear is a bunch of whining about something that you can fix if you happen to werent too busy searching for attention. Thank you a lot for providing individuals with a very marvellous opportunity to read articles and blog posts from this blog. It is often very good and also packed with fun for me and my office peers to search your blog a minimum of 3 times in one week to learn the newest issues you have got. Not to mention, we’re actually satisfied with all the astounding concepts served by you. Some 3 areas on this page are essentially the most efficient I have ever had. I simply desired to thank you so much all over again. I am not sure the things that I might have gone through without these solutions shared by you relating to such a industry. Certainly was the fearsome setting for me personally, but taking a look at this specialized way you processed it made me to leap over delight. I will be happier for the assistance and in addition wish you realize what an amazing job you happen to be doing training others with the aid of your blog. I am certain you haven’t encountered any of us. I and also my friends happened to be checking the good tips and hints from your site and the sudden came up with a horrible suspicion I never expressed respect to the web site owner for them. Most of the women were totally thrilled to read through all of them and already have really been enjoying those things. Thanks for indeed being well helpful and for using such very good tips most people are really wanting to learn about. My personal honest regret for not expressing gratitude to you sooner.